Future home of specialty restaurants, offices, and retail. 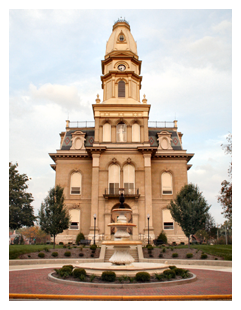 Bellefontaine Ohio is located in Logan County in the heart of West Central Ohio, with population of over 13,000 inside city limits and over 30,000 within a 15-minute drive, and over 100,000 within a 30-minute drive. It is located with equal proximity to Dayton and Columbus. It is a business friendly community on the cutting edge of economic and downtown development initiatives. The community boasts a state of the art hospital facility in Mary Rutan Hospital, a regional cancer center, effective rated school districts, many tourism assets, a newly renovated airport suitable for a wide range of private and commercial activities and a local tradition for highly technical and innovative engineering. Bellefontaine and Logan County are the center of Honda of America’s Ohio operations and home to several Honda suppliers. The local economy is supported largely by automotive industries and offers a highly skilled workforce in automotive manufacturing. In addition, the Bellefontaine and Logan County economy is supplemented with non-automotive manufacturing, retail, and professionals. Local commercial real estate development in downtown has been gaining momentum over the past few years and downtown is now bustling with energy. The success of gourmet pizzeria, Six Hundred Downtown, has prompted the calling for other restaurants in the downtown. The recent revitalization of The Marketplace, formerly known as the Centre City Mall, has captured the essence of “Main Street” and is now home to over 15 local small businesses and professionals, including The Lock Shop Salon, Mad River Knife, The United Way of Logan County, Lunch Break Café, and Jazzercise among several others. 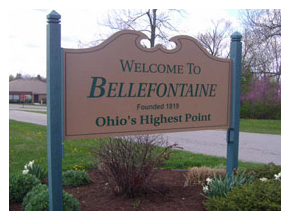 Bellefontaine is ideally located along U.S. 33 in West Central Ohio, just 45 minutes north of Columbus and equally distanced from Lima, Ohio. 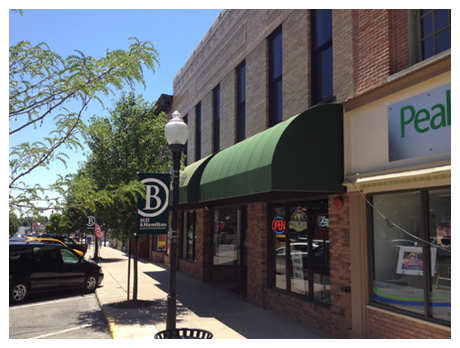 For a more detailed Market Study of Bellefontaine, Ohio please click here. © 2019 Canby Building. All Rights Reserved. Website Design by COMSTOR.